Purchase the Unirider up to and including 1 October 2018 for the early bird discount of £180 for the academic year. This is a saving of 77% on the public price. After the 1 October, the price will change to £255 for the academic year. 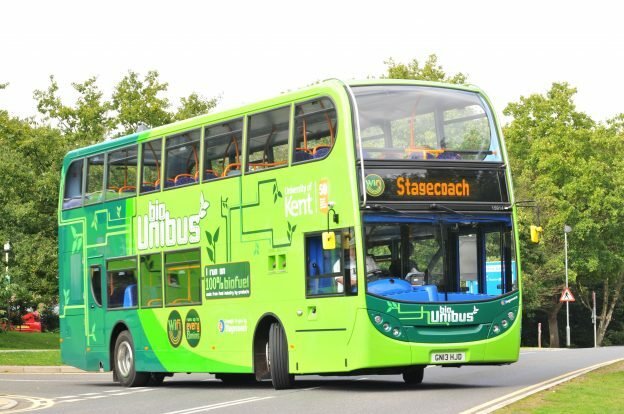 The green Unibus will be parked on campus for the first 2 weeks while the early bird discount is in place. 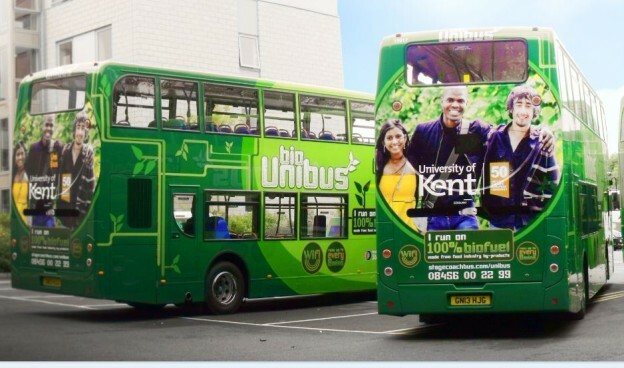 Find the Unibus located on the lawn outside the Registry building on the Canterbury Campus between 10:00 and 16:00. It is also available to buy online from the Stagecoach website. This entry was posted in News and tagged early bird discount, Stagecoach bus, unirider discount on September 25, 2018 by Miriam Sandiford. Staff permit renewal- if your parking permit is due to renewal please log into permit system, select “My Permits” and then select the small green arrow button to renew your permit. You do not need to apply for a new permit. See our guidance on renewing. Monday 17- Tuesday 25 September- Eliot car park will be closed while the welcome week activities marquee is in place, as requested by Kent Union. Tuesday 18- Friday 21 September- 15 bays will be closed in the Central Visitor pay & display car park, as requested by the Gulbenkian for their show. 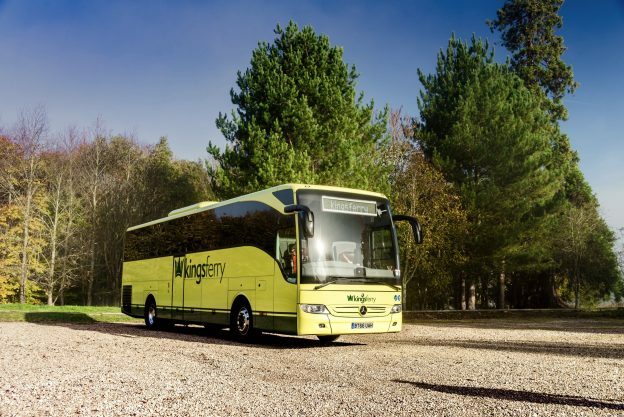 Sunday 23 September- Rutherford car park will be closed for coaches taking students to Leeds Castle, as requested by International Partnerships. Saturday 29 September- Eliot car park will be closed for stall holders at Canterbury Comic and Screen Festival, as requested by Kent Union. This entry was posted in News and tagged car park updates on September 19, 2018 by Miriam Sandiford. The University of Kent work with ByCycle to provide low cost bicycle hire to all students attending the Canterbury campus. 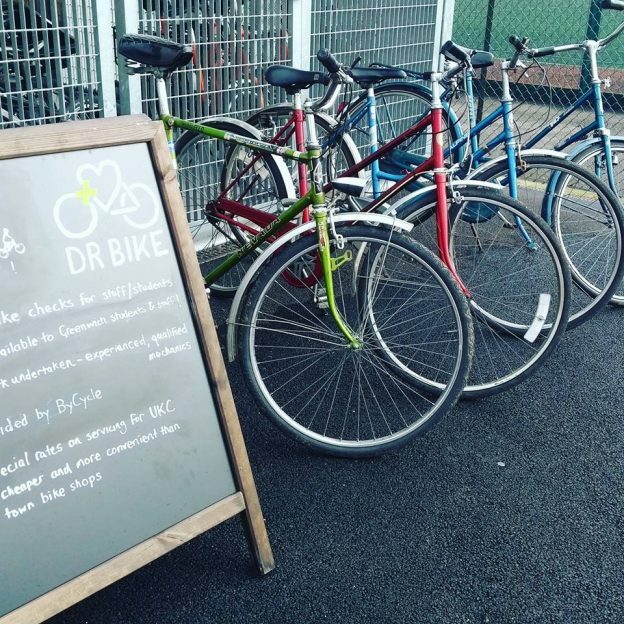 All bicycles available are second hand and have either been abandoned onsite or given to the University. Each bicycle has been security tagged and is registered to the University of Kent. They all come equipped with lights, a bell, and a lock, and have received a full service – they are as good as new and are ready to ride! Bicycles can be hired for £40 per term, alongside a security deposit of £60. The deposit will be refunded when you return the bicycle in good condition. If any Medway students wish to hire a bicycle, they can do so from Liberty Quays accommodation. This entry was posted in News and tagged bicycle, Canterbury, Canterbury campus, cycle hire, cycling, student, sustainability, transport, transport team on September 17, 2018 by cef20. The cheapest way for Canterbury students to travel around the local area is the Stagecoach Unirider, which allows unlimited travel across Kent and East Sussex. The Unirider ticket is valid for the academic year and the discount is exclusive to University of Kent students. For the first two weeks of term, the Unirider will be available to buy from the Unibus parked on the lawn outside the Registry building on the Canterbury Campus between 10:00 and 16:00. It is also available to buy online from the Stagecoach website. Remember to purchase up to and including 1 October for the early bird discount of £180 for the academic year. This is a saving of 77% on the public price. After the 1 October, the price will change to £255 for the academic year. This entry was posted in News and tagged bus, bus pass, bus ticket, bus travel, Canterbury, Canterbury campus, stagecoach, Stagecoach bus, student, transport, transport team, travel discounts, Unirider on September 17, 2018 by cef20. Staff will be sent individual reminder emails before the expiry of their permit. 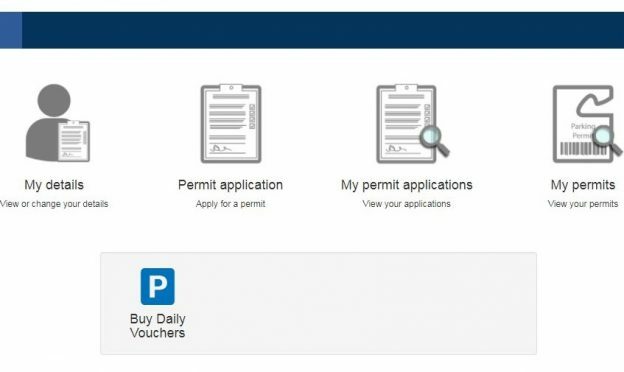 To renew your permit follow the link in the email or log in to permit account, select “My permits” and press the green arrow icon. Check and confirm that your details are correct. Once you have done this you will receive an email to confirm that your permit has been renewed. We are aware that some people are experiencing a blank screen when logging into their permit account. This seems to be an internet browser issue. If this happens please try an alternate internet browser and if the problem persists contact the Transport Team. If you do not renew your parking permit in time you will receive an email on the day that your permit expires. If you still wish to renew your parking permit after it has expired, you will need to log in and select “Permit application, Apply for a permit” and apply for a new permit. The Transport Team will need to verify the new permit application before it becomes live. This entry was posted in News and tagged permit renewal, staff parking permit on September 13, 2018 by Miriam Sandiford. Sunday 2- Friday 14 September- The section of Giles Lane car park behind Woolf will be closed for coach parking, as requested by the Conference Office. Wednesday 12- Monday 17 September- Oaks car park will be closed for coach parking as requested by the Conference Office. Saturday 15- Sunday 16 September- A traffic management plan will be in place for Arrivals Weekend. If you are working over the weekend please avoid parking in areas where students will be moving into. There will heavy traffic flow in these car parks while students and helpers unload belongings (Turing, Keynes, Eliot, Rothford, Tyler Court, Darwin and Rutherford). We are aware of a road closure on the M20 between junction 4 at Leybourne and junction 6 at Maidstone over the weekend. Visit our planning webpage for more information. This entry was posted in News and tagged car park updates on September 13, 2018 by Miriam Sandiford. The Campus Shuttle will start running from Arrivals Weekend (weekend timetable). The updated timetable, including the new trial additional stop at the Dockyard is available to be viewed here. The Campus Shuttle is a free service for University of Kent students and staff between the Canterbury and Medway campuses. Booking is now available. Book a seat to guarantee your travel on the service. You can only book a seat until 14 October 2018 currently. We are hoping to transition to a new booking system after this date. The new trial stop at the Dockyard will be located on Western Avenue. The service will continue to run on an hourly basis. The Transport Team and The Kings Ferry will be monitoring the effect and usage of this additional stop. This will be a term by term trial. This entry was posted in News and tagged booking, campus shuttle, Historic Dockyard, trial on September 13, 2018 by Miriam Sandiford. 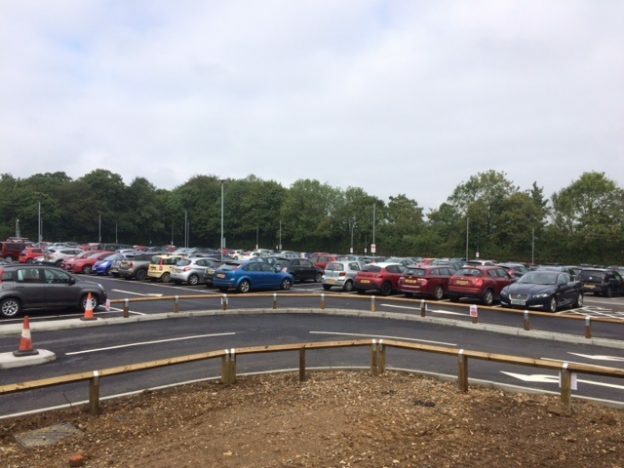 Giles Lane car park is now fully reopened as a pink zone car park, and enforcement within Giles Lane will be reinstated from Monday 10 September. 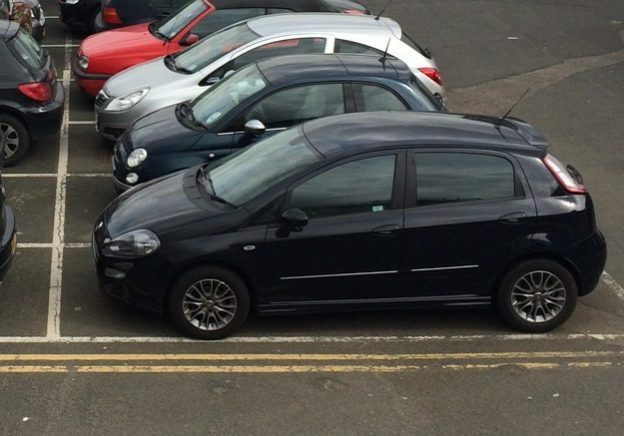 Members of staff are able to update their parking permit from a blue zone to a pink zone, if they would like to continue parking in Giles Lane car park. To update your parking permit log in your permit account and select “Permit application. Apply for a permit”. Once you have applied for a new pink zone permit, email TransportTeam@kent.ac.uk to request cancellation of your blue zone permit. Within the next week further minor works will continue in the Giles Lane car park, this will include some small areas of tarmacking; installation of signage and additional lampposts. No parking bays will need to be closed for this work to take place. We are aware that some people are using the vehicle entrance and exit points for pedestrian access. Unfortunately this creates a health and safety risk to those individuals, so we advise all pedestrians to follow the access points provided; these are marked on the car park design under the abbreviation “PA” highlighted in yellow. This entry was posted in Giles Lane changes, News and tagged Giles lane car park on September 6, 2018 by Miriam Sandiford. Buying Stagecoach dayrider and megarider tickets is now cheaper on the app. You can save up to 7.5% by buying all dayrider and megarider tickets in advance on the app, rather than in person on the bus. For example the Southeast dayrider will remain £7.00 on the bus, however, it will only be £6.80 through the app. The University of Kent discounted dayrider and megarider week tickets are also cheaper on the app. The Canterbury dayrider discounted ticket is £3.10 on the bus or £2.90 on the app. You can buy tickets up to three months in advance, then simply activate them on the days you wish to travel. Payment can be made securely with card, PayPal, Apple Pay, or Android Pay. For staff and students, however, the cheapest option is a bus pass. Students are able to purchase the Student Unirider online now from the Stagecoach website. The Unirider bus pass will also be available to purchase from the bus located on campus from Arrivals Weekend for 2 weeks. Staff are eligible for either the Canterbury or Southeast Megarider at a reduced rate. Using the Southeast Megarider, staff can travel around Kent and East Sussex for as little as £1.45 a day. For more information, or to apply for a bus pass, please visit our bus webpages. This entry was posted in News and tagged bus discounts, stagecoach on September 6, 2018 by Miriam Sandiford.